KRZAK is a phenomenon on a global scale ? 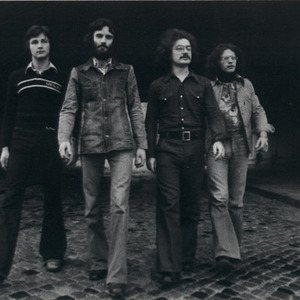 as a band playing instrumental music, it was one of the most popular rock groups in Poland of the early 80s. Their recordings have resisted the passage of time and their concerts still win acclaim both with audiences and critics. A triumphant comeback after 20 years of quiet was broken by the death of a co-founder and bass player, Jerzy Kawalec in 2003. KRZAK has had several records with the gold album status. Another achievement has been the reissue of eight of their albums, which were released by Metal Mind in 2005-2006. In 2006 Krzak successfully started giving concerts again, with Krzysztof ?ciera?ski - a well known bass soloist. * Jan B??dowski ? one of the leading European violin players, living permanently in Germany. In Poland he played and recorded with the following artists: Krzak, Niemen, SBB, Laboratorium, Irek Dudek Blues Band, Shakin' Dudi and Republica; in Germany with Blues Express, Blues Power Orchestra, Tide, Schau Pau and Sczepanski B.Injection. * Andrzej Ryszka ? one of the best Polish rock drummers, who has also gained acclaim in America. He lives in Canada. He has played both with the leading Polish rock and jazz artist (Voo Voo, Young Power, Tomasz Sta?ko, Tadeusz Nalepa) and stars acclaimed in the USA and Canada. He's made a number of albums released all over the world. * Leszek Winder ? a guitar player, one of the most prominent figures of Polish blues and rock. He's given concerts and recorded with many famous musicians (J&oacute;zef Skrzek, Jan Skrzek, Tomasz Szukalski, Tadeusz Nalepa, D?em, TSA). He has made several albums with his own material. For years he's been running ?Lesnicz?wka', a cult club in Chorz?w. The winner of GUITAR TOP 2005 and BLUES TOP 2006 ? competitions for the best Polish rock and blues guitarist. * Krzysztof ?ciera?ski ? for many years now considered to be the best bass guitarist in Poland. He's worked with tens of artists (Ewa Bem, Tomasz Sta?ko, Marek Grechuta, John Porter, Zbigniew Namys?owski, Krzesimir D?bski, Laboratorium, String Connection, Air Condition, Republika, Wilki). He works with artists from all corners of the world, who play a great variety of kinds of music. He's recorded several dozen albums.